Last weekend, whilst Melbourne sweltered through yet another heat wave and most Melburnians flocked to the nearest beach or pool, the Manasis senior dancers were determined to proceed with their programme as planned. 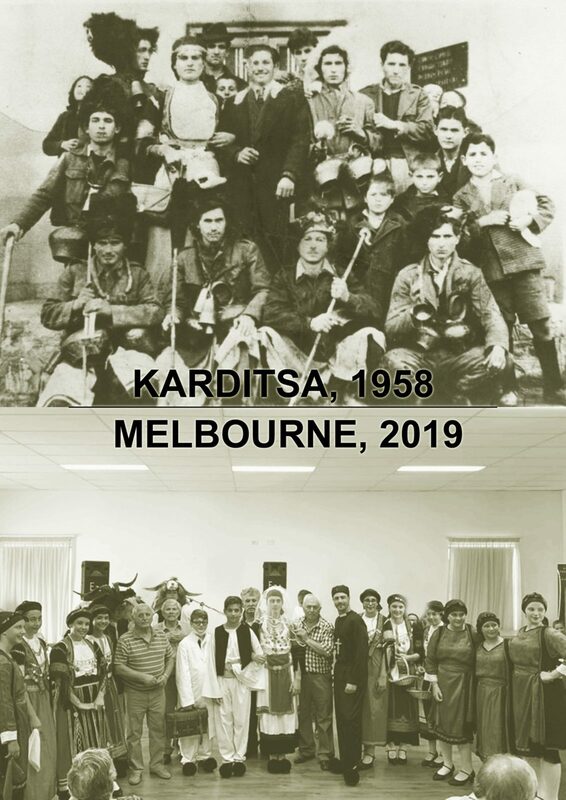 They participated in the Lygon Street Multicultural Festival and apokries custom of Rougatsia, enacted at the Karaiskakis Karditsa Association of Melbourne and Victoria. 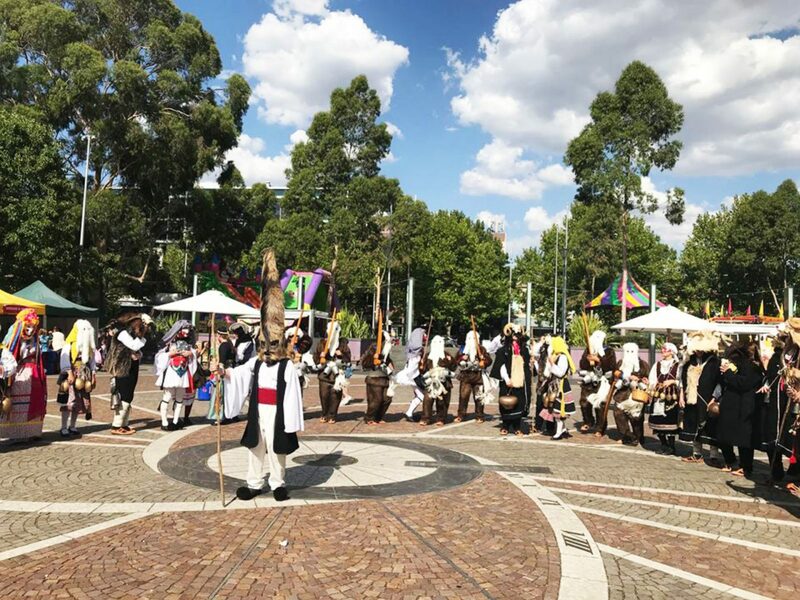 On 2 February, performers donned their carnival costumes from the Manasis collection with furs, masks, horns, bells and took to the streets… Argyle Square was filled with traditional carnival capers. Among the most impressive costumes was the 1.5m tall goat skin headpieces from Xiropotamos and Monastiraki, Drama, Macedonia. 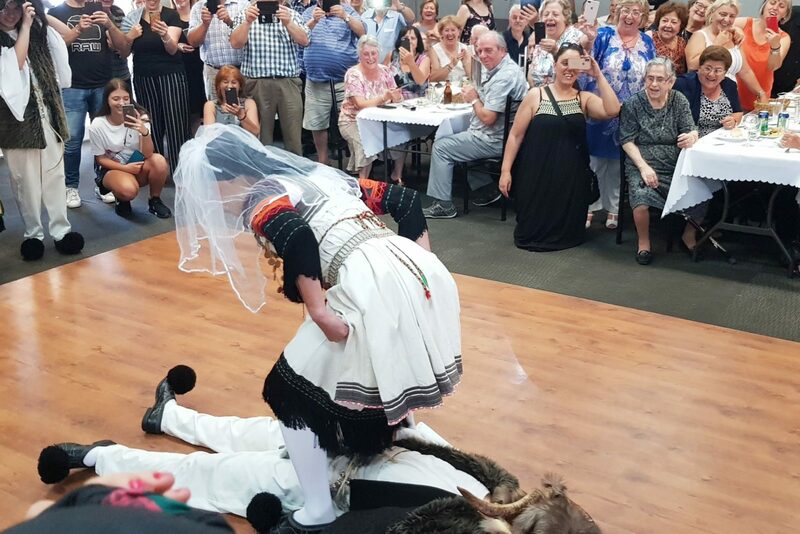 The next day, 3 February, they headed to KARAISKAKI’s annual Apokries BBQ at the Hellenic Community of Moorabbin. The famous Apokries custom of “Rougatsia” was re-enacted in Australia for the first time in living memory. 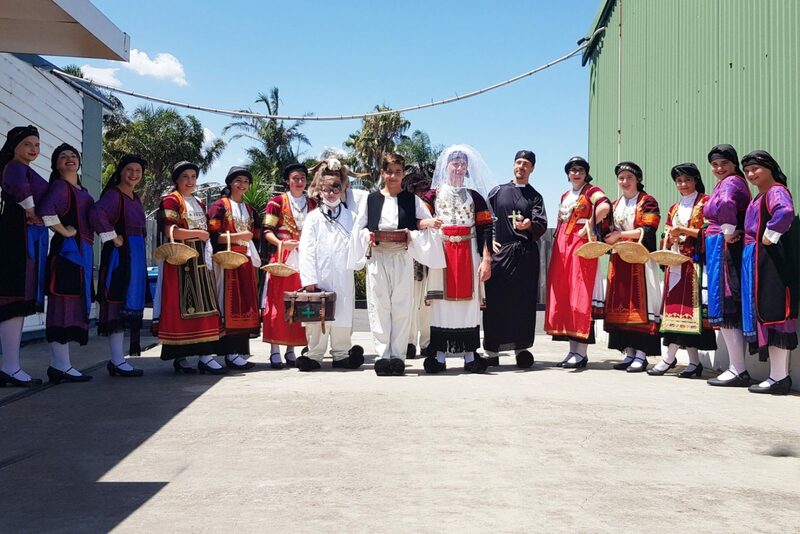 Manasis Seniors proudly dressed in layers upon layers of authentic traditional folk costumes, namely the identifiable “Karagouna”, and presented traditional dances from the central Greek regions of Thessaly, Karditsa, Trikala and Larissa. The custom or Rougatsia or “Gourouno-Hara” sees a ‘boulouki’ of masked men gallivanting around their village, looking to collect the bits of pig-meat in order to make loukanika (sausages) for the Spring season ahead. On their way, evil sprits ‘kalikantzaroi‘ try to abduct the ‘nifi‘ (bride) who symbolises fertility and rebirth. A sketch follows with different roles being played out. A wonderfully comical act complete with a groom, bride, masked bandits, a doctor and a priest! 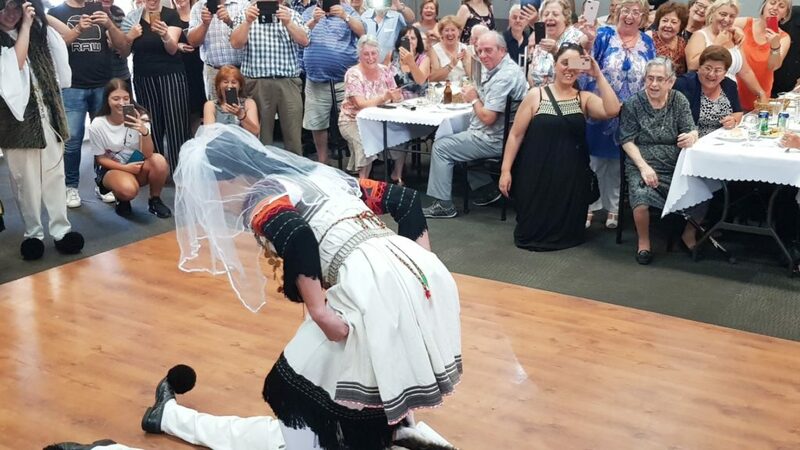 And there’s more to come during the upcoming Lonsdale Street Greek Festival when Manasis officially unveil and present authentic costumes from the Carnival of Soxos, Macedonia. 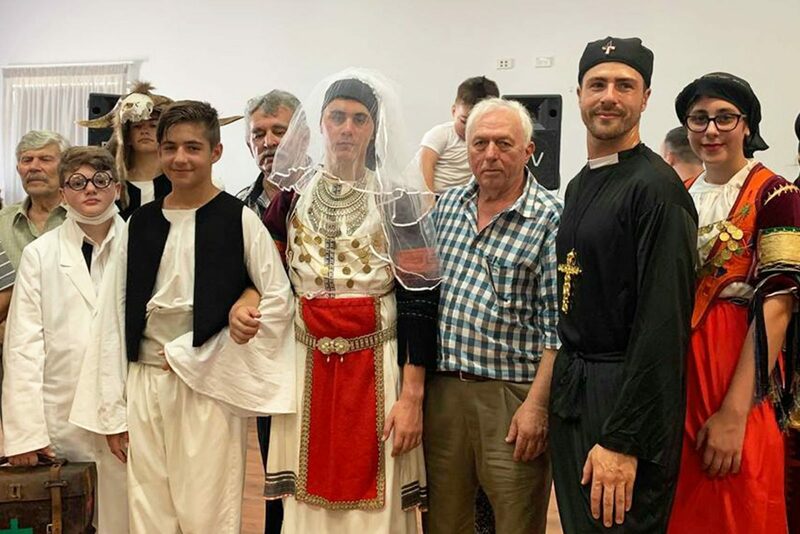 These authentic costumes have been gifted to the dance school to celebrate the school’s 40-Year anniversary (1979 – 2019) and its commitment to promoting the Hellenic identity of Macedonia. Manasis dance troupe performed carnival traditions.